If you prefer to make a donation by mail, please make checks payable to CFMC and note “Ryan’s Circle of Giving” in the memo line. 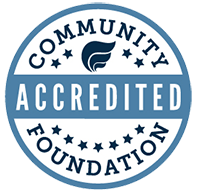 Checks may be sent to the Community Foundation of Middlesex County, 49 Main Street, Middletown, CT 06457. Ryan’s Circle of Giving is a fund set up to honor the memory and legacy of Ryan Charles Gordon. As a freshman in college in 2005, who was on his way to fulfilling his life’s dream of becoming a Broadcast Journalist, Ryan was forced to return home to Wallingford because he knew he was very sick. It was 8 weeks before he was diagnosed with a non-curable cancer, and it was just 6 weeks later, on March 2, 2006, that 19 yr. old Ryan passed away. 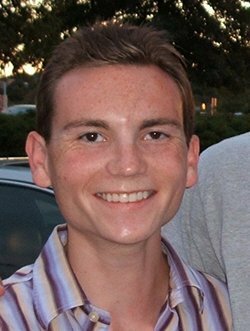 A week before he died, Ryan requested that his unused college funds be donated to Connecticut charities. His written, expressed purposes were to thank those organizations he believed helped him throughout his life, and to enable other kids to benefit from the education he would never receive. He also wrote that he hoped that his bequests would inspire others to give. The Ryan Gordon Memorial Fund at the Kingswood-Oxford School is a financial-need based scholarship that enables a deserving student to attend the school’s Team Tobati yearly trip to Paraguay. Team-Tobati is a K-O, all-volunteer, nonprofit organization dedicated to working with and assisting the poor of Tobati, Paraguay. Contributing to this fund is an excellent way to provide a child (who might not have the financial resources) the opportunity to make a contribution to the world. The Ryan Gordon / Hartford Wolf Pack Community Foundation Scholars Fund at Trinity College. This fund provides deserving Hartford youths (based on scholastic achievement and financial need) with the opportunity to learn to play hockey. In addition to receiving training from members of the Trinity College men’s and women’s hockey teams, each scholarship recipient will become a mentor to a younger skater from a local elementary school. The Thoracic Oncology Program (TOP) at the Yale Cancer Center. Under the directorship of Ryan’s oncology surgeon, Dr. Frank Detterbeck, funds allocated from RCG go directly to the TOP’s tissue bank. The tissue bank collects cancerous thoracic tissues from patients, an invaluable asset for researchers at the Yale Cancer Center to use in studying how cancer cells behave. This is essential information for the treatment and cure of this disease. The Cystic Fibrosis Foundation is the primary sponsor of critical research that is making tremendous advances toward a cure and control of cystic fibrosis. Ryan lived his short life to the fullest of his ability, despite a lifetime of medical issues. He was a thoughtful, generous young man who made a huge impact on all who crossed his path. His final, deliberate act was of giving to others. In an effort to support their son, Ryan’s parents hope to fulfill their child’s last wishes.